The Prime Rib: It’s all about the iconic crabs at this local institution. While most come for the hulking portions of succulent prime rib, you’d be terribly remiss to gloss over the restaurant’s impressive seafood options, like the crab-centric hot appetizers section, which contains imperial crab (lightly seasoned and baked in-shell), crab cakes and seasonal soft-shell crab. For those who prefer their crab chilled, it’s also available as a jumbo lump crab cocktail. Cherrystone clams and Petrossian caviar are a couple other appetizing highlights. And that’s not even talking about the entrees, which includes the likes of fried shrimp, wild salmon and sesame-seared tuna. Old Hickory Steakhouse: Heavily influenced by regional history, this longstanding steakhouse has always paid special mind to local sourcing. That especially includes seafood, which really gets the star treatment throughout the ritzy menu. A seafood tower is a show-stopper of a starter, outfitted with lobster tail, jumbo shrimp, king crab, oysters and red wine mignonette. Steamed Maine Acadian mussels arrive swimming in white wine, bacon, garlic, shallots and red pepper flakes, while jumbo lump crab cakes get livened up with spicy corn relish and avocado. When it comes to heartier portions, don’t miss the Atlantic salmon served with braised beluga lentils and caramelized cauliflower, or the Dover sole with caper-lemon brown butter. Bond 45: Just because this family-friendly eatery specializes in Italian cuisine doesn’t mean local seafood gets overlooked. On the contrary, you’ll find wholly original creations like crab ravioli studded with asparagus and ricotta, or the crab and lobster manicotti. 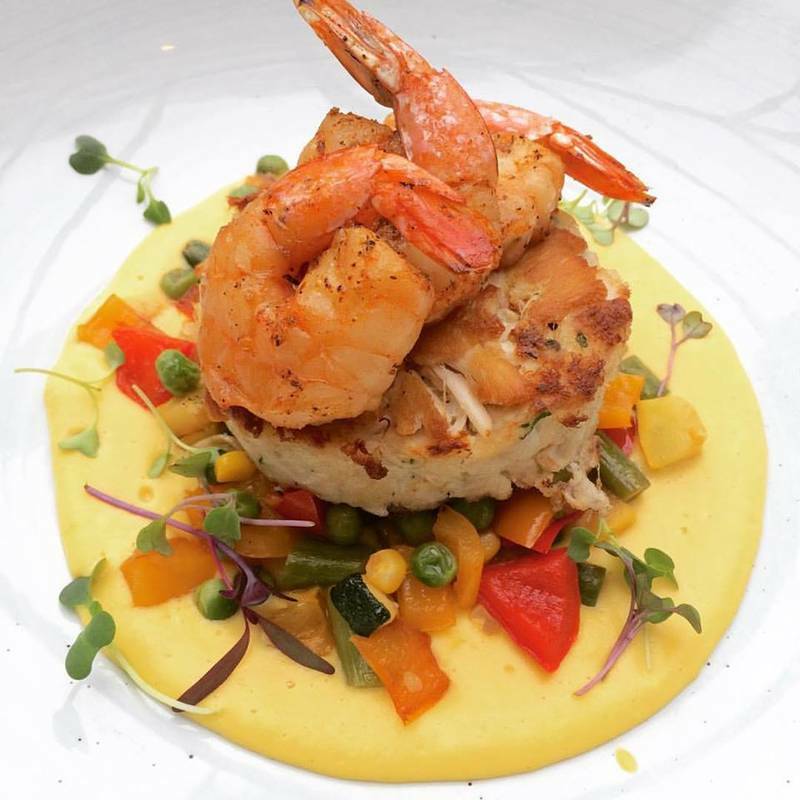 And that’s just the tip of the iceberg, with other options like crab cakes with shrimp and corn puree, rockfish with cannellini bean puree or striped branzino with roasted vegetables. Ruth’s Chris Steak House: In addition to Ruth’s Chris’s famous steaks and chops, the Baltimore outposts put special emphasis on their seafood offerings. And rightfully so, because when the goods are this fresh, it’s hard not to. Maryland-style crab cakes pay apt homage to their home state, served in a pair of plump 5-oz. cakes, while salmon gets seared and spiced up with honey-Thai sauce, ginger, jalapeños and pepper. Even the more exotic offerings, like Chilean sea bass, get interesting updates with add-ons like citrus-coconut butter and a tropical sweet potato-pineapple hash. Fleming’s Prime Steakhouse & Wine Bar: In every market it enters, Fleming’s has a special knack for localizing itself and taking advantage of the nearby bounty. In Baltimore, that means adorning jumbo lump crab cakes with roasted red pepper and lime-butter sauce, heaping seafood towers with tuna poke, lobster, shrimp and crab, pairing shrimp and sea scallops over creamy goat cheese grits and enriching colossal cold-water king crab legs with some drawn butter for dipping.